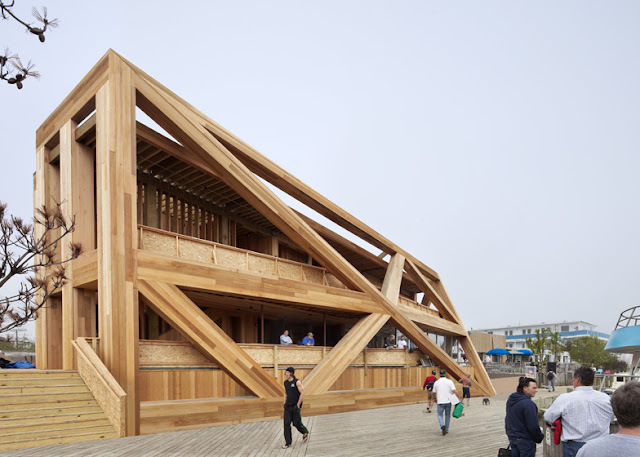 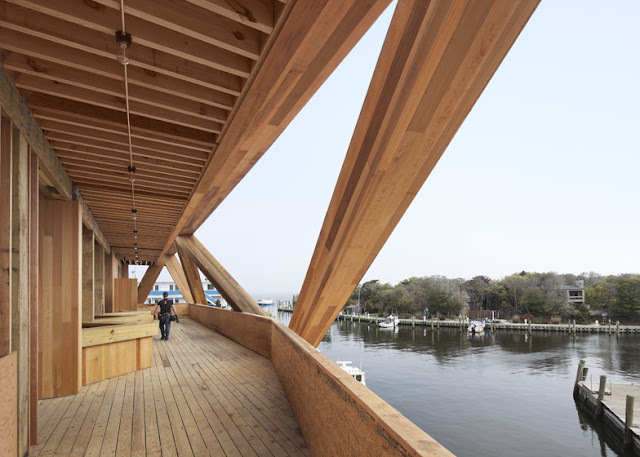 Following the destruction of the legendary Fire Island Pines Pavilion by a fire in 2011, New York architecture firm HWKN has developed not only a building for the venue but also the boardwalk that makes part of this important holiday and leisure resort for New York City’s gay community. The new two-storey building is made from timber and it incorporates a bar and terrace at ground floor level, as well as a dance club and outdoor lounge on the first floor. 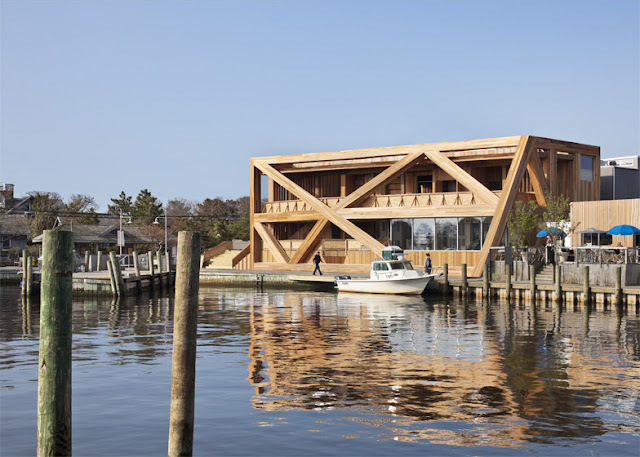 Its design allows for balcony viewing and to keep the tradition of welcoming visitors who arrive to Fire Island by boat.